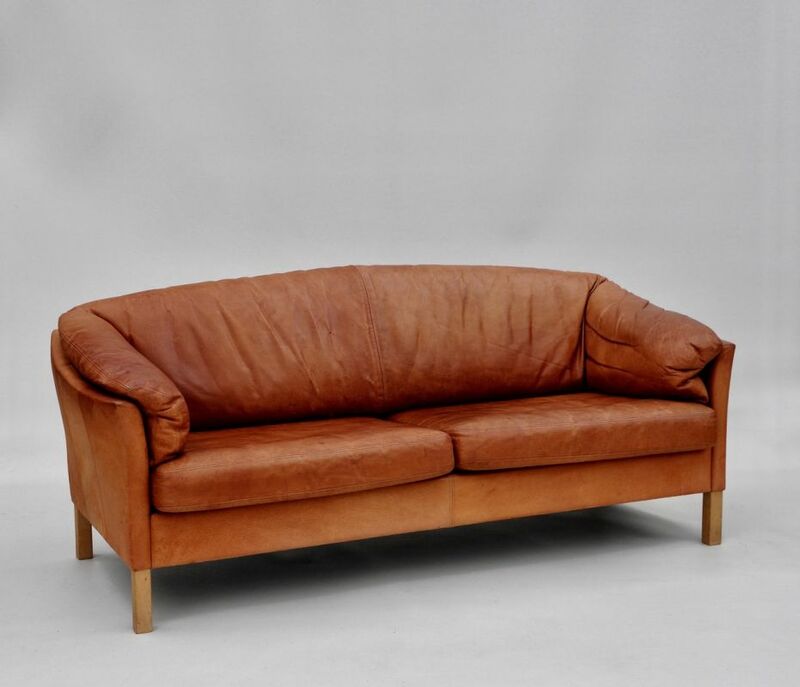 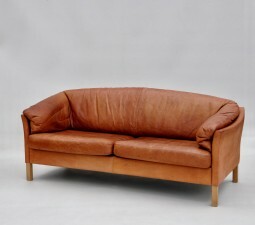 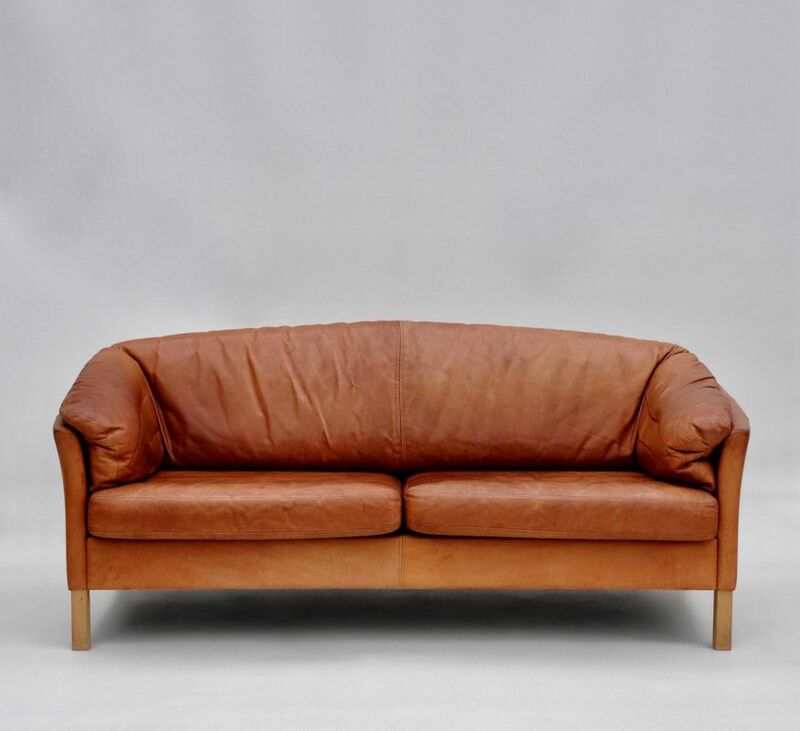 This sofa was designed by Mogens Hansen and made in Denmark, probably in the 1980s, but has a more 60s or 70s look. 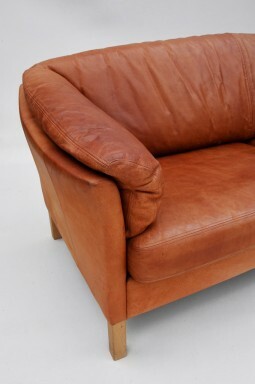 The leather is aniline dyed, a light tan colour and is soft and supple to the touch. 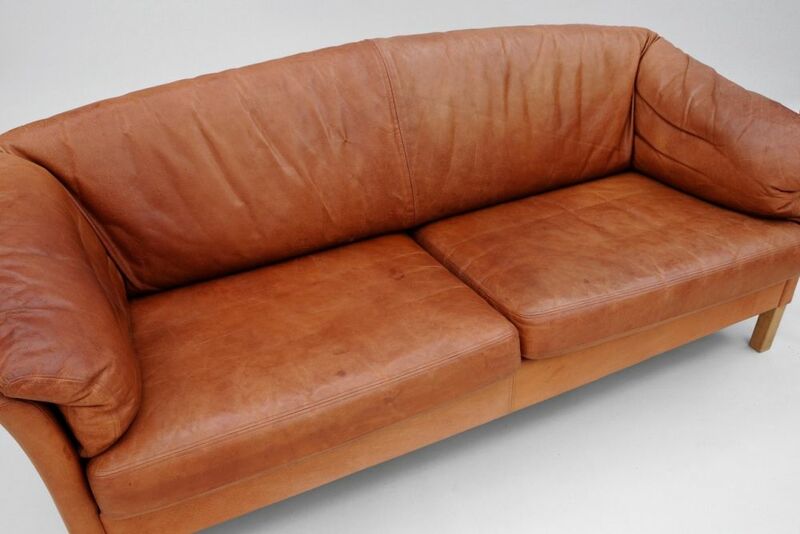 The sofa has great style: modern and very comfortable, the type you can slump down into or stretch out on with your feet up. 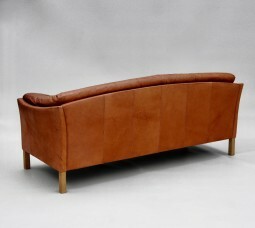 It also looks good from the back so could be used as a room divider. 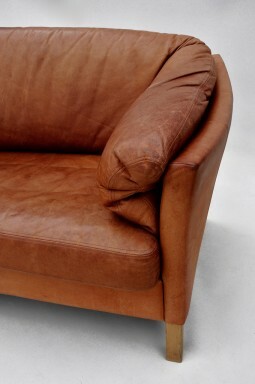 The sofa is 192 cm wide, 80 cm deep and 82 cm high. The seat is at 44 cm.